Join us for the 2018 ELab Fellows’ Midway Pitch event, and peek into the process of progress. 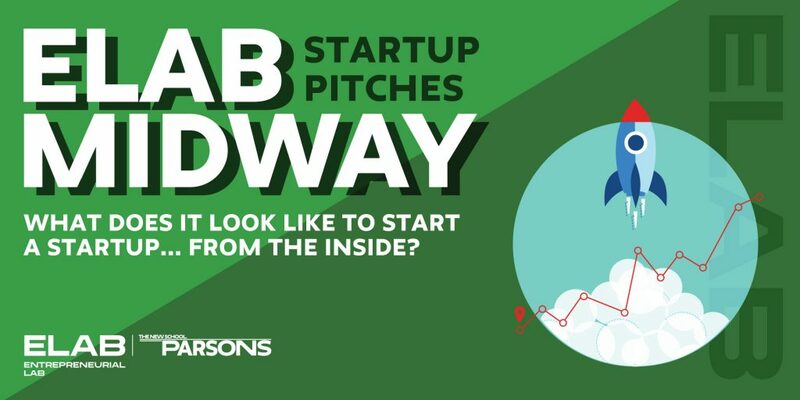 What does it look like to start a startup… from the inside? Ever wanted to know more about the journey turning an ideas into thriving business? Have you wondered what it means to iterate, or what a good prototype should accomplish? On April 26th, ELab Fellows will share their 4-month progress stories since they joined our 12-Month Fellowship Program for YOU, and an audience of judges, investors and the New School entrepreneurial community. Stay tuned and follow us on social media!